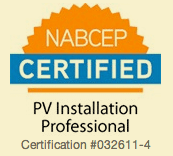 As of September 2012, the top 10 U.S. companies in terms of on-site solar capacity deployed are: Walmart, Costco, Kohl’s, IKEA, Macy’s, McGraw-Hill, Johnson & Johnson, Staples, Campbell’s, and Walgreens. 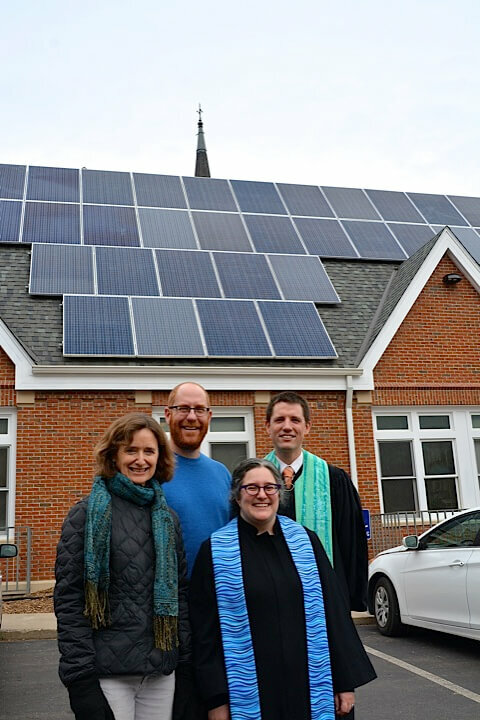 The people of First United Church of Christ in Northfield are committed to caring for God’s Earth, so when it came time for the congregation to vote on going renewable, the decision was an easy one. 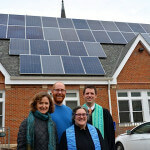 First UCC’s sister church in Minneapolis, Mayflower UCC, had had an excellent experience in going solar, and after hearing all about it, First UCC was quick to follow. 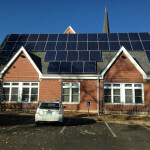 State incentives made the project financially appealing, and with growing concern about global climate change, the choice seemed like a no-brainer. 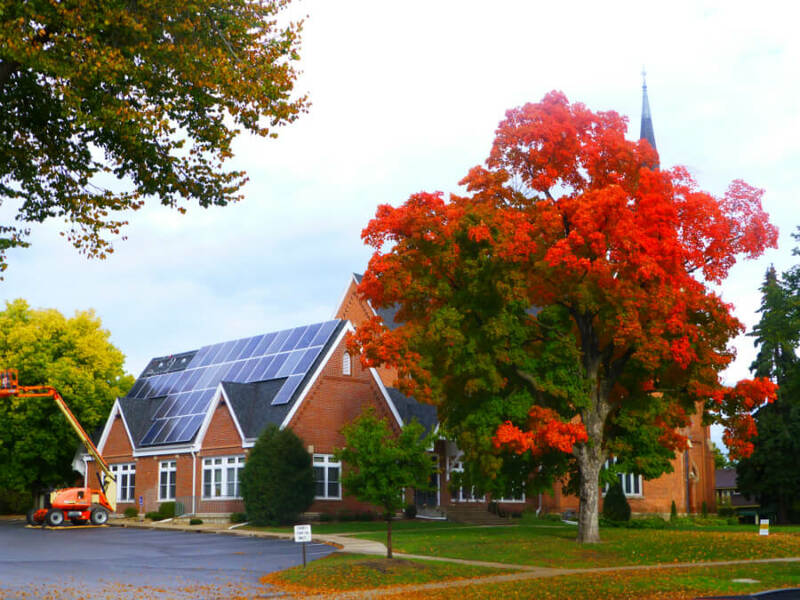 After meeting with potential vendors, putting the decision to two unanimous votes, and a quick reroofing, First UCC started working with All Energy Solar to install their system. 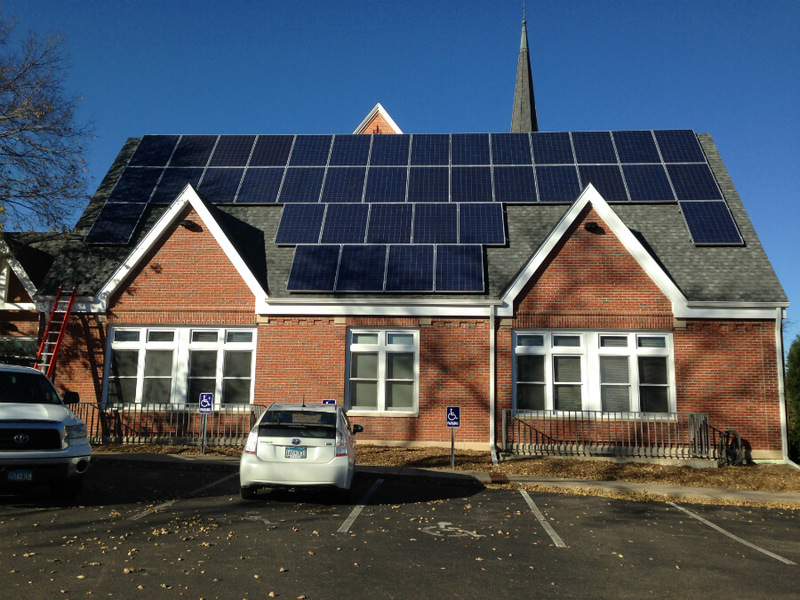 Since their install, the church has been extremely happy with the decision. 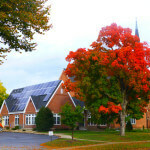 Their new system has helped the church to save money and reduce their environmental impact, truly demonstrating their committment to helping the world.